It's only a short (but wet) hike away. Aira Force waterfall is one of those places of natural beauty with a magnitude that is hard to grasp until you’re staring up at it, agape. From a stone footbridge, hikers have to strain to see where the water originates some 70-feet above, making it look almost as if the thundering waterfall is falling from the sky. 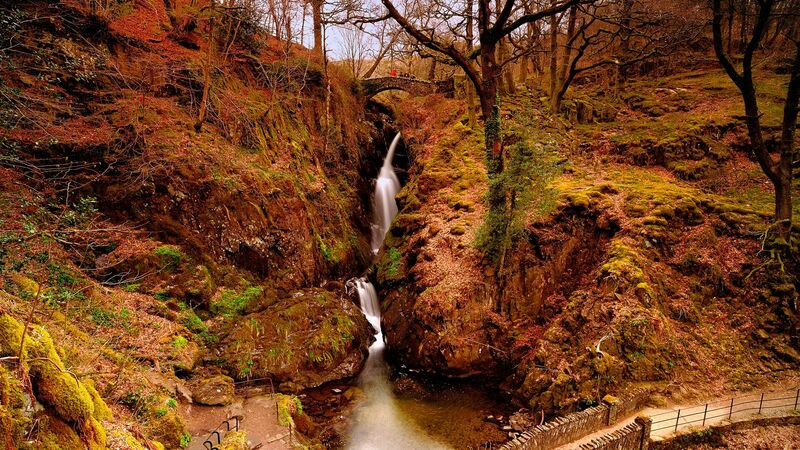 Situated inside the Lake District National Park in Northern England, Aira Force feels secluded, hidden inside an area of the park largely dominated by a series of trails and a thick, wooded area. In the 18th century, the Howard family of Greystoke castle used the grounds as a hunting lodge, later transforming part of the land into the garden that hikers now traverse, planted with half a million trees. The family expanded the garden into a proper arboretum in the 19th century, planting 200 different species of conifers from around the world, according to the local tourism board. Visitors to the area can explore the garden and read placards describing the different species of trees and plants. There is such a variety and abundance of plant life in this section of Cumbria, that it has grown to resemble something of a small forest rather than a garden. The trek to Aira Force is a relatively easy hike, taking about an hour to get from the nearest parking lot to the foot bridges on both the top and bottom of the falls. The hike is straightforward and marked with signs, but given the wetness of England's climate, walking can be a bit tricky as one navigates mossy rocks and wet leaves. 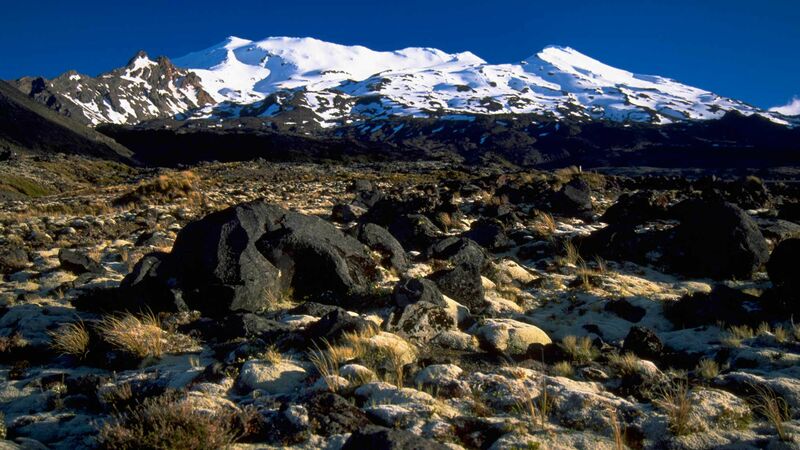 Rubber boots or hiking shoes are recommended. 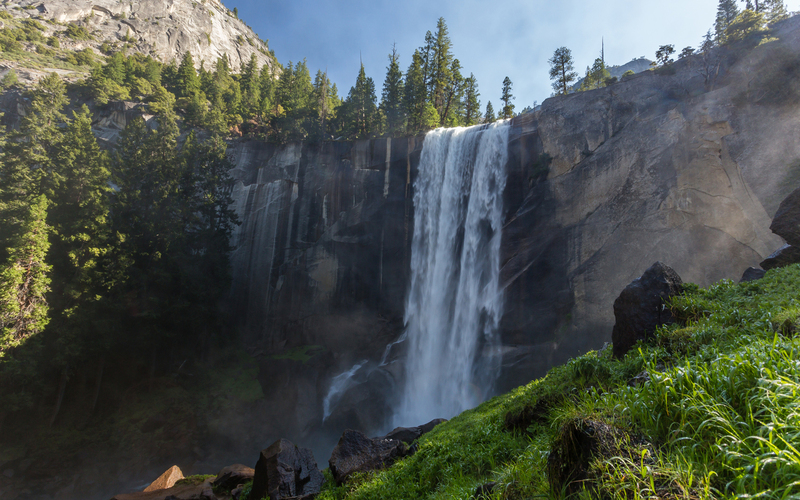 Frequent rain also creates the possibility of rainbows, with some that stretch almost entirely across the falls. 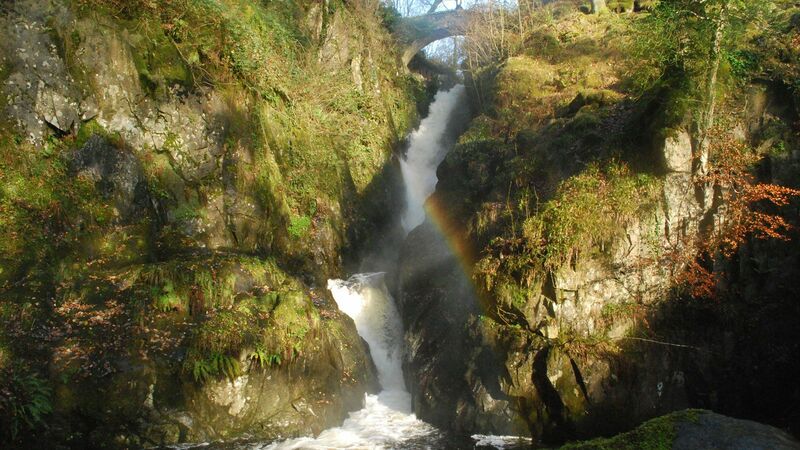 Aira Force and the surrounding area of Ullswater have drawn visitors for centuries who were looking to uncover or rediscover the beauty of the English countryside. Poet William Wordsworth reportedly composed the poem “I Wandered Lonely As a Cloud” after his stroll through Ullswater.